March 1983 at Sundown Studio, Kingstone, Somerset. 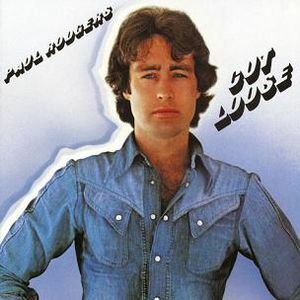 Cut Loose is a studio album by English singer-songwriter Paul Rodgers. It was recorded in March 1983 at Sundown Studio, Kingstone, Somerset, and released on Atlantic Records in October 1983. After the death of Led Zeppelin's drummer John Bonham, and the dissolution of the record label Swan Song Records, Bad Company produced one final album Rough Diamonds before breaking up. Rodgers however had already been toying with the idea of a solo project in the late 1970s. Rodgers wrote, produced, sang, and played on every song on Cut Loose, and it was recorded in his home studio in Kingstone. Rodgers played guitar, keyboards, bass guitar, and drums. 'Superstar Woman' is a re-recorded version of a previously unreleased Bad Company composition (It was finally issued on 1999's The 'Original' Bad Company Anthology). 'Live in Peace' was also re-recorded by Rodgers and Jimmy Page for the Firm's 1986 album Mean Business. Many of the songs on Cut Loose would also appear in the Firm's live set. Cut Loose was released on vinyl LP, cassette, and standard single compact disc. A remastered silver 25th anniversary edition CD was released in 2008. ↑ Junkman (May 2007). The Paul Rodgers Interview. Vintage Rock. Retrieved on 5 January 2014. ↑ Buckley, Peter (2003). “Bad Company”, The Rough Guide to Rock, Third. London: Rough Guides, 56. ISBN 978-1-84353-105-0. OCLC 59305933. This page was last modified 22:36, 5 January 2014.